As President and owner, Heath Holdaway is responsible for developing and executing the company’s strategic plan and managing the leadership of company operations. Heath has over twenty-five years’ experience in masonry construction and has been with IMS Masonry since 1998 and an owner since 2004. In today’s world of fully integrated masonry services, winning high-visibility projects require specialized skills, unique technical requirements, and knowledge in all aspects of the construction process. Through Heath’s participation in every role within the company – from mason to foreman, estimator, and project manager, operations manager, vice president and onward – Heath has continually demonstrated expertise, leadership and professionalism. He is a “hands on” principal who prides himself on being readily accessible to each and every project. With a strong background in masonry construction, Heath is also involved in business development and the overall direction of the company. His commitment to the IMS team and the clients we serve has earned him the respect of his peers and made him a vital component to IMS’s continued success. Heath is the Qualifier for IMS’ masonry contractor’s license in Utah and the other states and municipalities in which we are licensed. 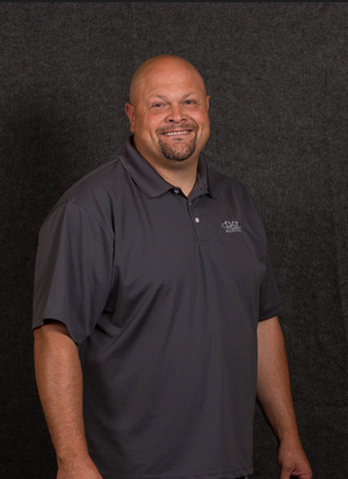 He is active with the Mason Contractor’s Association of America (MCAA) and is the Primary qualifier for the company’s Certified Masonry Contractor status. He is also a Certified Field Auditor/Certified Company Auditor in conjunction with IMS’ Precast/Prestressed Concrete Institute (PCI) Certified Erector status. With a strong sense of family and an unlimited amount of patience, Heath spends his free time coaching his kids sports teams, and playing outdoors; participating with his wife, kids and extended family and friends in many activities including hunting, fishing, camping, and riding ATV’s.